You are going to Watch Naruto Shippuden Episode 268 English subbed online free episodes with HQ / high quality. Stream Anime Naruto Shippuden Episode 268 Online English sub Battleground! The Feudal Lords gather at a fortified palace, when Black Zetsu arrives at the outside. Black Zetsu infiltrates the fortress but the Lords were fake and forces him to escape and maintain his surveillance on the ground. Meanwhile at the coastline, White Zetsus and the undead ninjas start their assault and Darui starts their defense by unleashing his Black Lightning Panther. 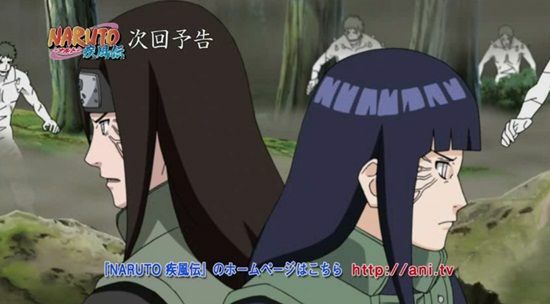 Hyuga Hizashi confronts his brother Hiashi and reiterates that his death is for the sake of the entire Hyuga clan. At the desert, orders from headquarters telling Shikamaru to assist Darui’s division and Temari becomes worried as they’re facing a powerful Kekkei Tota shinobi. Shikamaru describes the Kekkei Tota to Temari and her subordinates and Choji. Onoki arrives to Gaara to assist the Fourth Division. Still at the coastline, Darui now faces the Gold and Silver brothers Kinkaku and Ginkaku telling that he will put out the shine on them.